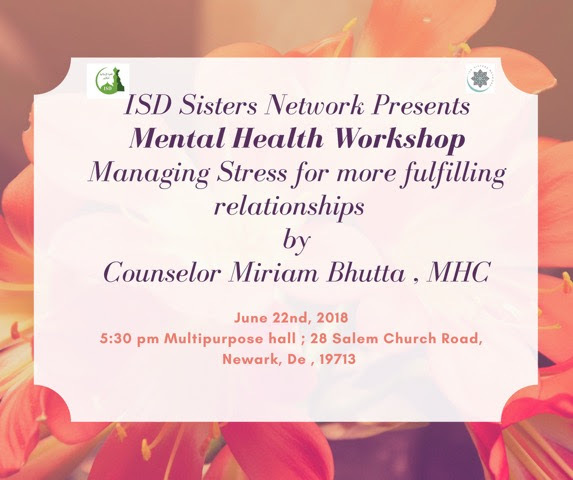 In this workshop, you will be learning techniques to manage stress and work towards building healthy relationships. Counselor Miriam Bhutta, MHC is a mental health counselor who loves working with Muslim families. She has been a valuable asset to the communities she has served at. She presents mental health classes through different platforms as well.